Sputnik 26 March 2018 : Shaul Mofaz, former Chief of Staff of the Israeli Defense Forces and ex Minister of Defense: “I have known John Bolton since his days as US ambassador to the United Nations. He tried to convince me that Israel must attack Iran,” Shaul Mofaz said. 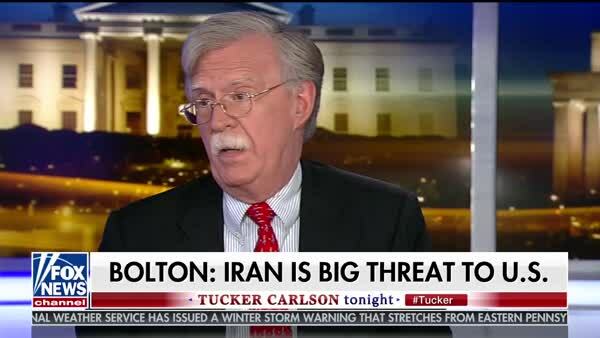 Just eight months ago, at a Paris gathering, Bolton told members of the Iranian exile group, known as the Mujahedeen-e-Khalq, MEK, or People’s Mujahedeen, that the Trump administration should embrace their goal of immediate regime change in Iran and recognize their group as a “viable” alternative. The MEK supported Saddam Hussein during the Iran-Iraq war. Today, the MEK is viewed negatively by most Iranians, who would prefer to maintain the status quo instead of embracing what they consider a corrupt, criminal cult that killed many Iranians during the war. Sputnik 25 March 2018: Iran’s secretary of the Supreme National Security Council Ali Shamkhani has lashed out at the appointment of former US ambassador John Bolton as US National Security adviser, said the Iranian Fars news agency. The secretary specifically pointed out Bolton’s ties to the Mujahedeen-e-Khalq (MEK) group, the Iranian Marxist opposition seeking to overthrow the Ayatollah government and had been on terrorist group lists both in Europe and the US for a long time (until it was removed in 2009 and 2012 respectively) and still is in Iran. “It is a shame that the United States National Security Adviser is being paid by a terrorist group,” Ali Shamkhani said. Bolton has been attending conferences organized by MEK for years, which consider themselves Iranian exile government.